Dragon Maiden is a 243 win-ways online slot by PlayNGo, enriched with Expanding Wilds, Respin and Free-Spins Features. Number of winning ways could grow to as many as 7,776 during free round. 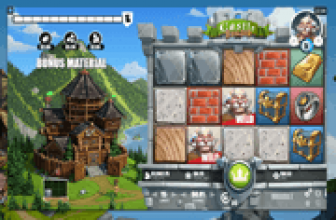 Mainly because Free Games allow 3-tile high reels to rise with as many as 6 icons per column. Fiery Dragon Symbols are powerful elements; possessing capabilities to trigger a Respin or activate a round of Free- Spins. Moreover, every Dragon icon emerging in a bonus round, spurs a reel expansion; adding one symbol at a time to the reel in which it appeared. Dragon elements repeatedly landing on reels, may eventually develop a grid composed of 6-tile high reels. Each Dragon Symbol appearing thereafter, will award a Golden Spin that plays after completion of the regular bonus bout. Another important element that can create a valuable impact is the highest-paying Dragon Maiden image. In order to boost players’ chances of striking high-value wins, PlayNGo gave the highest-paying Dragon Maiden additional attributes. On random instances, images of the titular maiden may come across with a WiLD label; rendering them capable of representing other symbols except the Dragon icon. The next best thing that can happen is for a Dragon Maiden Wild to expand, towering over other symbols with a 2-tile or 3-tile high image of the dragon mistress. A spin that delivers 3, 4 or 5 Dragon Maiden tokens positioned in adjacent reels, is likely to draw a payout for such outcomes. If the convergence of Dragon Maiden images started from the leftmost reel, the longest arrangement occurring per win-line garners 50x, 100x or 250x the coin value staked per spin. Every spin by the way, requires 20 credits as standard bet size. Dragon icons are Scatter elements that can unlock special events even if positioned anywhere across the play area. Two (2) Dragon Symbols simultaneously in view trigger a Respin of the non-Dragon reels. On the other hand, a scattering of three (3) Dragons occurring as outcomes, unlocks a round of free games. When a Respin launches, reels holding the 2 triggering Dragon Symbols lock-in. The purpose of which, is to give qualifying players a second chance to complete a Scatter Combo with another Dragon icon. 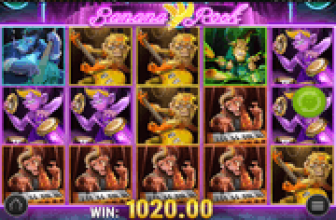 If achieved, the Respin advances to a Free-Spins Bonus Round. Worth mentioning as well, is that the 3rd Dragon Symbol will still award an additional Respin before the game commences with the bonus bout. A Dragon Free-Spins Bonus Round consists of eight (8) free turns. Here, every Dragon Symbol landing as outcome of a bonus spin expands the reel in which it appeared; adding one random icon on each occasion. A reel may expand with up to a maximum of six (6) symbols. Thereafter, Dragon Symbols taking positions in a 6-tile high reel, will award a Golden Spin. 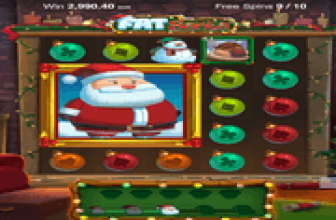 Golden Spins are additional bonus rolls that transpire after all regular free-spins have played. The number of Golden Spins available depends on the number of Dragon Symbols that landed previously in a 6-tile high reel. At that point, all Golden Spins will run on a 6×5 grid that offers as many as 7,776 ways to win. Dragon Maiden online slot by PlayNGo features a powerful Dragon element that may award a 2nd-Chance Respin. The respin gives players a chance to land a 3rd Dragon Symbol that will activate a bonus round. In free rounds, Dragon Symbols become more potent, possessing extra abilities to expand reels, as well as award Golden Spins as additional free rolls of a bonus bout.